BACK TO THE FUTURE KEY TOPPERS. Fear not, humans! 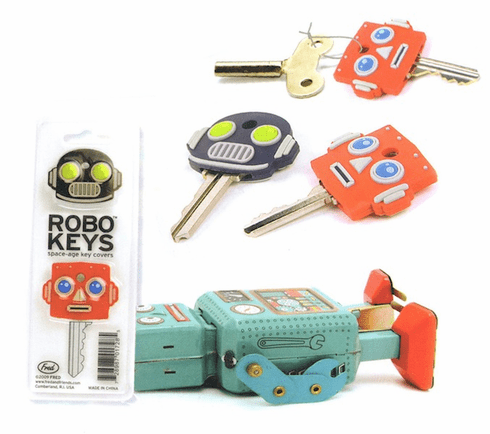 ROBO-KEYS have been sent to you from the future to help you identify your primitive terrestrial keys. Two retro robots in each pack.